Timeouts is a method for temporarily restricting commenting privileges to a disruptive user for a length of time. **Access to Timeouts is currently available with a Pro subscription. If you would like to subscribe to Pro, you can do so in your Subscription & Billing. Timeouts is a method for temporarily restricting commenting privileges to a disruptive user for a length of time. Using this tool, you'll be able to allow a heated exchange to cool off for a predetermined amount of time, at your discretion. Go to your moderation panel and click on a comment from a user you wish to shadow ban. Select Ban User from the side bar on the right. 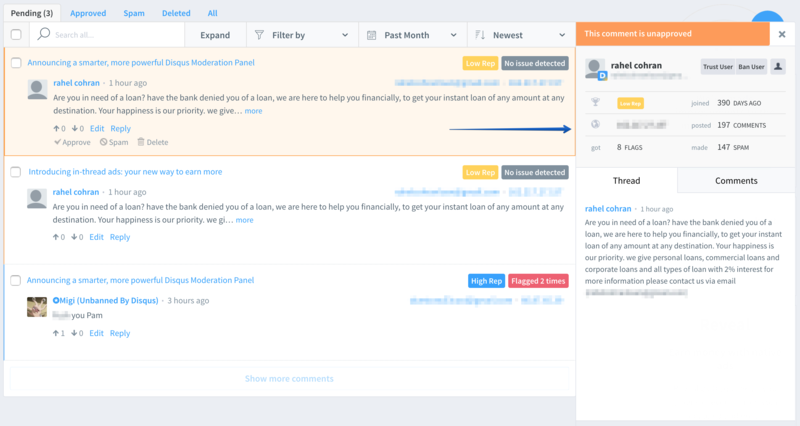 Here you will be able to choose how long you wish to prevent the user from commenting. This message is displayed to a user who has been given a timeout. 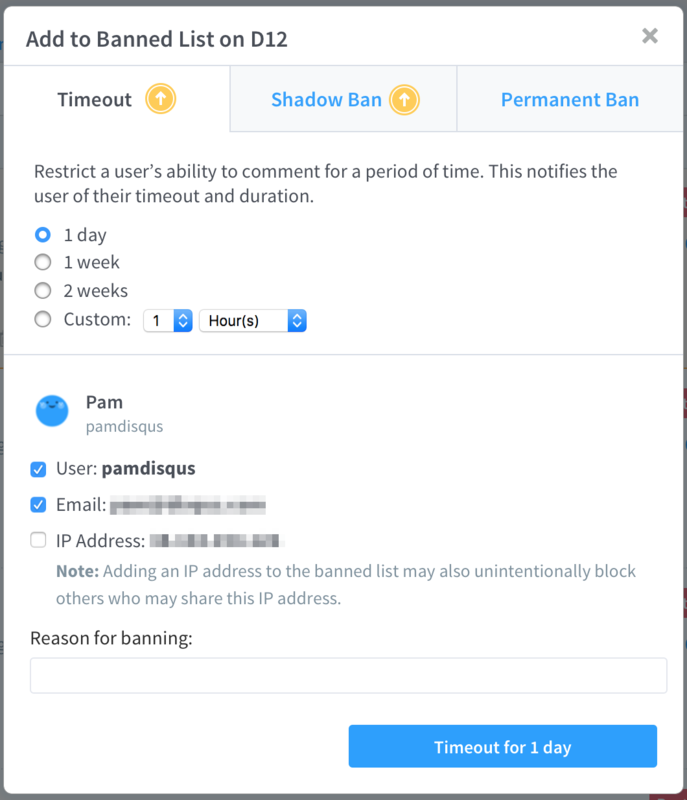 Timeouts are temporary, and last for any amount of time specified by the moderator. Reason for banning" is an internal note for moderators, not displayed to the user who has received the timeout.